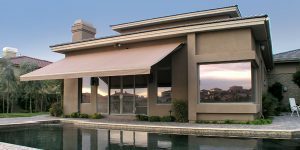 Our Custom Retractable Awnings will enhance the beauty of any home and provide protection as needed. By using a retractable awning versus a fixed awning, you will have the best of both worlds’ allowing you to capture shade during the day and have a view of the stars at night. They will also allow you to enjoy your outdoor living space without any posts or beams in your way to take up your much-needed space. 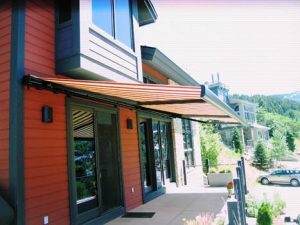 These high-quality awnings are available in many fabric colors to tastefully match the color or style of any home. One of our finest awnings is manufactured by Futureguard. It is motorized and can cover a 23’ wide patio and can extend out up to 12’. It also has an adjustment to tilt the awning at a desired angle. When completely retracted, it goes into a sleek cassette which protects it from the elements. Sun and wind sensors are available to extend and retract your awning while you are away. 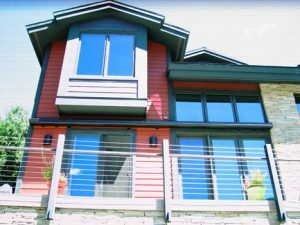 If you want to enjoy the space around your home in a way you never imagined, call us at Wasatch Retractable Screens.